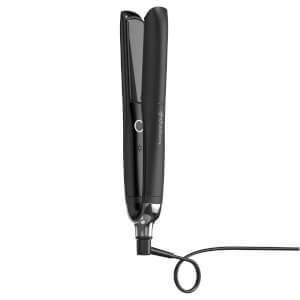 For slicker, sharply styled hair, the ghd IV Styler is a premium product designed to delegate direction to hair, allowing it to be conveniently and personally arranged. Crafted in a sophisticated thin design, the nimble ceramics readily impact and attend to unwanted frizz, helping hair to look smooth and perfected. Allows for hair care to continue whilst travelling, ensuring permanent optimum performance. The heaters switch off automatically after 30 minutes of inactivity, regulating safety. The longer length allows for ample convenience during use, allowing the ghd IV Styler to reach mirrors and mains plug sockets, as desired. Heats quickly, and regulates the release of heat to ensure maximum proficiency throughout. To use, allow to heat well first, applying a heat protection product to hair beforehand. For straightening, separate the hair into sections and then clasp the ceramic heaters around each section, pulling downwards from root to tip. For curling, wrap the sections of hair around the barrel itself, sweeping downward for full bodied curls. 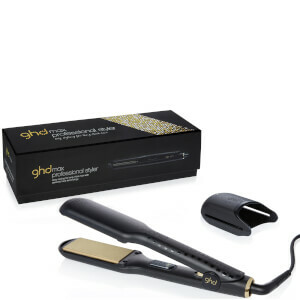 This ghd comes with a 2 year warranty and is supplied with a UK three pin plug only. 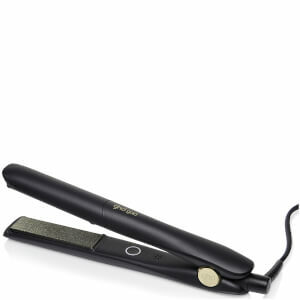 Save £20 on GHD IV.